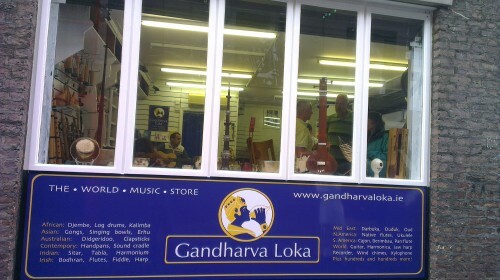 The latest branch of Gandharva Loka – world music stores inspired by Sri Chnmoy’s philosophy – has just been opened in Dublin’s Temple Bar district. The store is filled with instruments from all over the world, with instruments for beginners and experienced players alike. 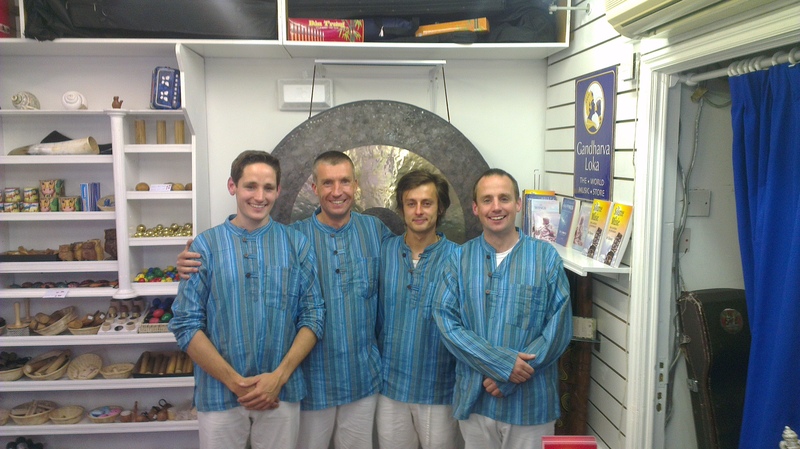 Sri Chinmoy felt that music was a universal way to bring peace and hapiness into the world. Today is President Nelson Mandela’s 95th birthday, and the Sri Chinmoy Centre would like to add its best wishes to the millions of birthday greetings from all around the world. 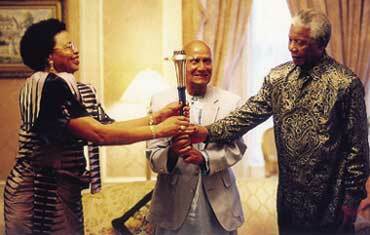 Sri Chinmoy was a great admirer-friend of President Mandela, and the two had several warm and significant meetings. In a statement released on his birthday, President Mandela’s health is reported to be steadily improving. Author Nirbhasa MageePosted on July 18, 2013 July 18, 2013 Categories tributesLeave a comment on Happy 95th Birthday, Madiba! 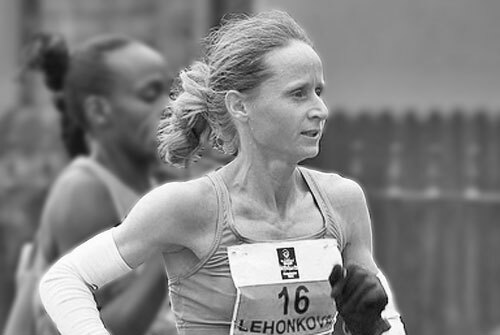 Samunnati Natalia Lehonkova, a member of the Sri Chinmoy Centre in Ukraine, won the Belfast Marathon in a time of 2:36:50, a personal best and a new course record. 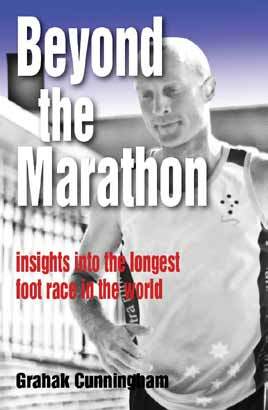 It is the latest in a string of marathon victories, having won in Edinburgh and Toulouse within the past year. Over 17,000 people took part in the Belfast marathon this year. 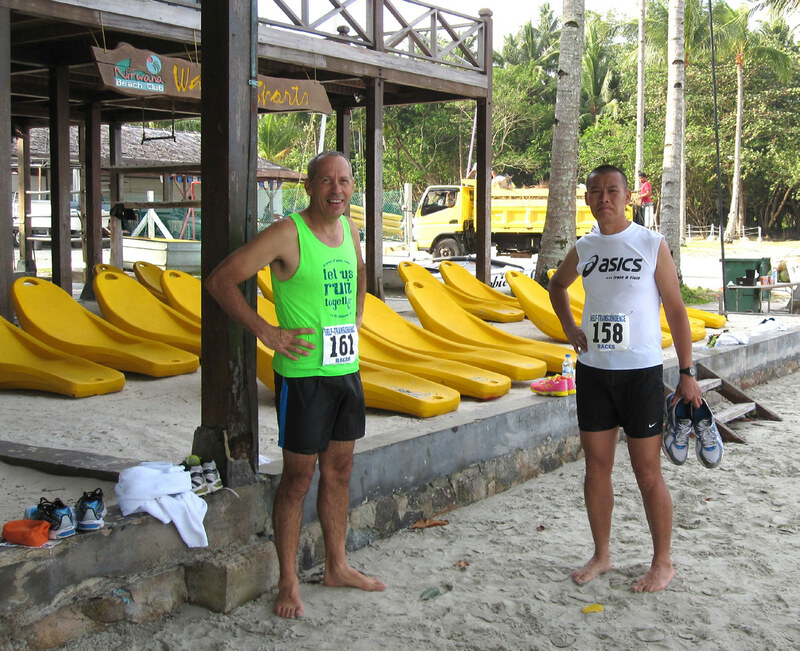 Samunnati is a frequent participant in the World Harmony Run, a torch relay event that travels the globe carrying a message of international friendship and understanding. 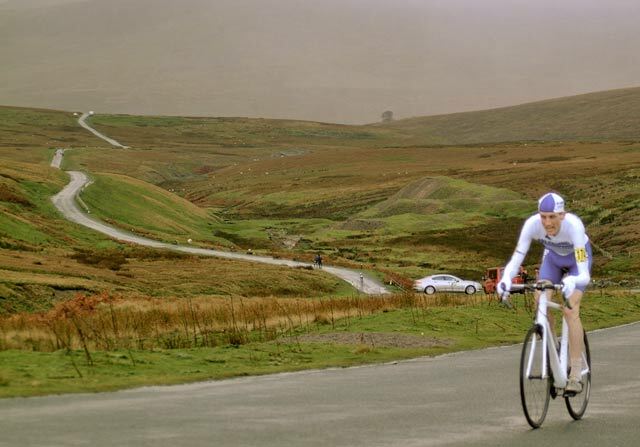 She has been part of the international team for many European runs and in 2008 she joined the team in Australia as it circumnavigated the entire continent. The below photograph shows her carrying the Torch during a 2012 run in the Czech Republic. 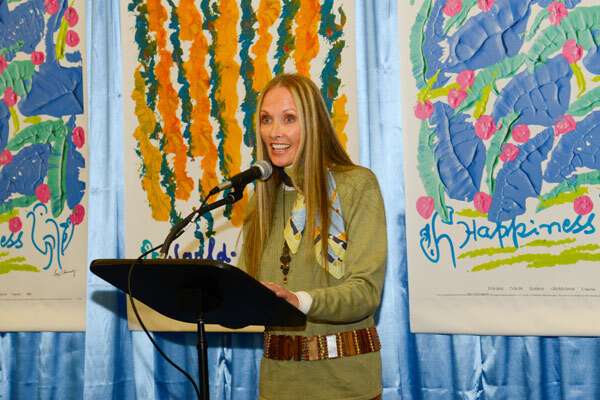 An audio book containing selected writings by Sri Chinmoy read out by 17 diplomatic, musical and athletic luminaries – including Archbishop Desmond Tutu and 9-time Olympian Carl Lewis – was launched at the United Nations Headquarters in New York. 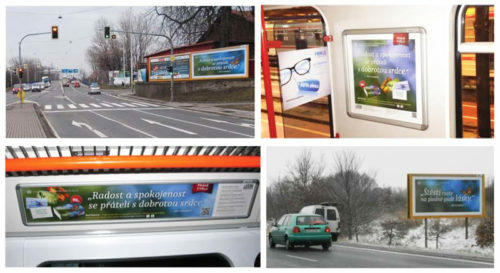 The launch took place on the eve of the first UN International Day of Happiness, to celebrate that landmark event. 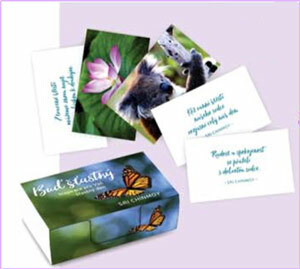 The chapters of the celebrity audio book contains inspiring passages and poems deal that are divided into themes such as patience, gratitude and enthusiasm – qualities that can be cultivated to gain lasting happiness. Over 500 United Nations ambassadors, delegates, staff and members of NGOs were present at the launch. 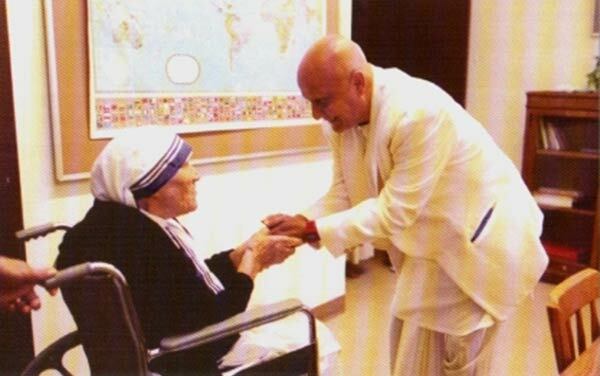 “These sweet gems of wisdom by my dear friend Sri Chinmoy are timeless truths full of encouragement, love and goodness,” Nobel Peace Laureate, Archbishop Desmond Tutu, said in a video message. 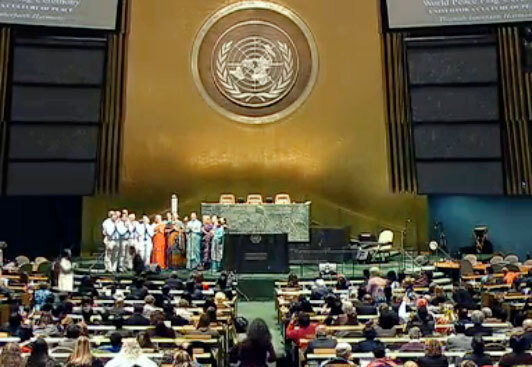 “Sri Chinmoy was a pioneer in forging a grand alliance of hearts and minds for the culture of peace,“ said Anwarul Chowdhury, Special Advisor and former Under-Secretry-General to the United Nations, in his introduction. 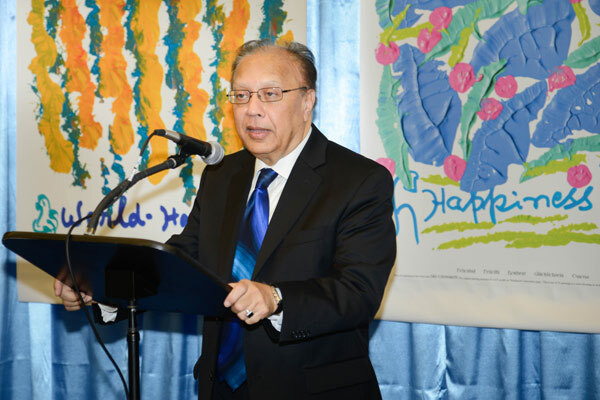 Ambassador Chowdhury makes the opening remarks. 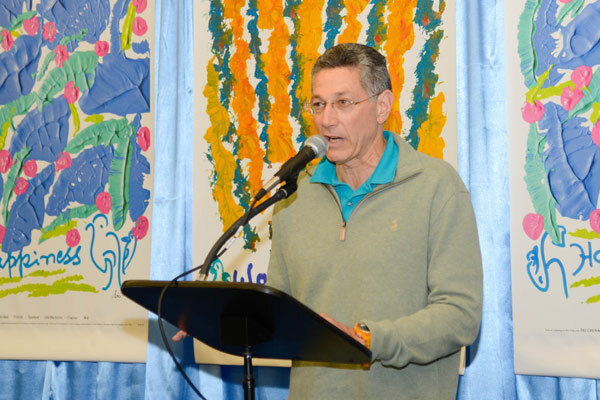 Renowned composer Philip Glass performed on the piano while Cathy Oerter, co-founder of Art of the Olympians and wife of legendary Olympian Al Oerter, and Ashrita Furman, holder of the most Guinness World Records, read from the book live. A special message from peace activist Ela Gandhi, granddaughter of Mahatma Gandhi, and former Member of Parliament in South Africa, was also read out. legendary Russian singer Boris Grebenshikov. 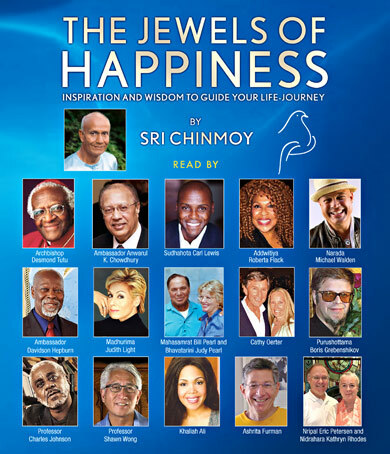 The Jewels of Happiness presents selected writings of Indian born Sri Chinmoy, who offered twice-weekly peace meditations for delegates and staff at the United Nations for 37 years. He also initiated global programmes to foster peace and happiness including the world’s largest relay run for international friendship and peace. The audio book is available on itunes and audible.com and its proceeds will go to charities for children worldwide: Nelson Mandela Childrens Fund, Philani Nutrition and Development Project in South Africa and Mother Teresa’s Missionaries of Charity. 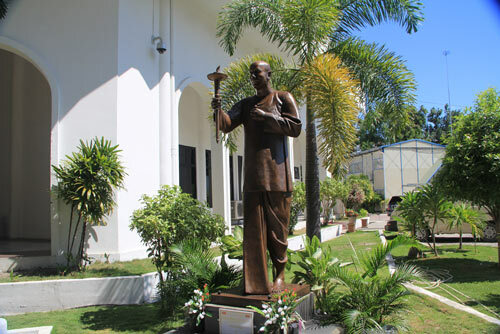 A statue of Sri Chinmoy offering a peace torch has been inaugurated in front of the National Parliament of Timor-Leste (East Timor), in a ceremony attended by dignitaries from all sections of Timorese society, including the President and the current and former Prime Ministers. 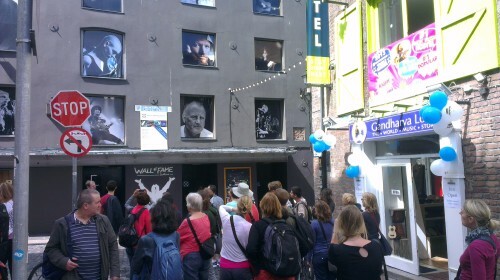 There were many speakers at the ceremony. 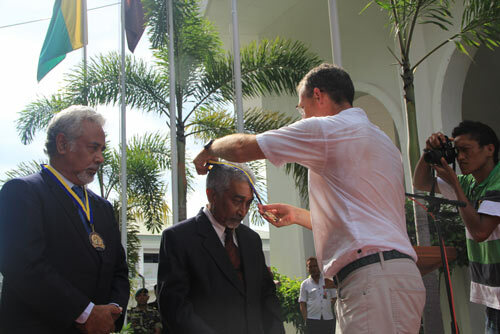 A representative of Bishop of Dili opened the proceedings. The World Harmony Run Torch-Bearer Award was presented to the current Prime Minister, H.E. 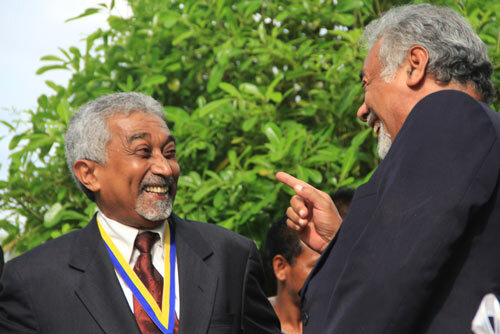 Xanana Gusmão, and Timor-Leste’s first Prime Minister, H.E. Mari Alkatiri. 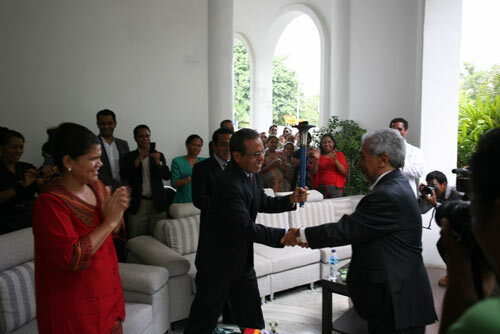 There was a very nice moment where Mr Gusmão, ran from the entrance the entrance with the Torch, and passed it to Dr Alkatiri, who in turn ran up the steps of the parliament and gave it to the President, H.E. Taur Matan Ruak. A choir of Sri Chinmoy’s students sang a song Sri Chinmoy had written in honour of East Timor, and also his song and ‘A New World of Peace’. 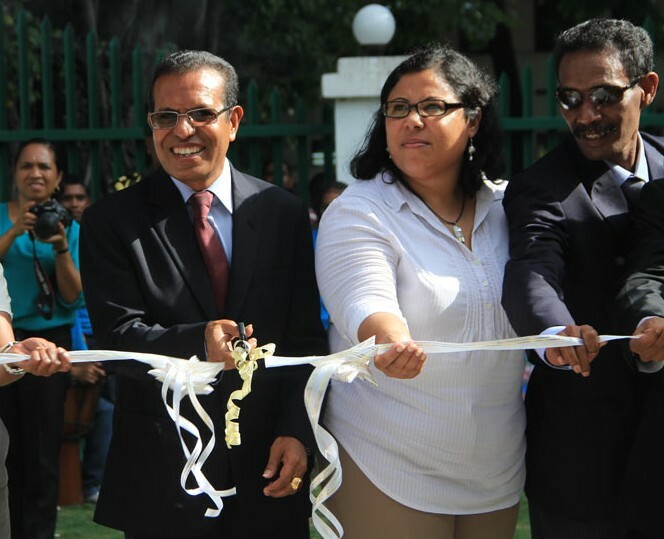 The President then cut the ribbon to inaugurate the statue. A light moment between the current and former Prime Ministers. Photos: Agragati Siegel and Husiar Johannsen.